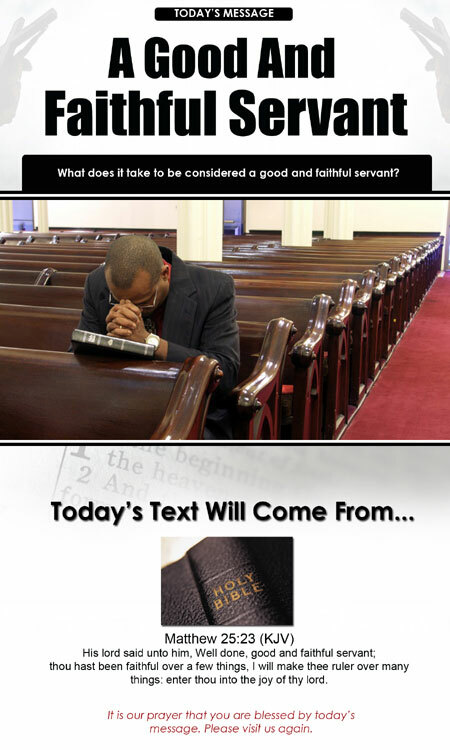 What does it take to be considered a good and faithful servant? Matthew 25:23. INCLUDES: Word and text files, Powerpoint slides and Bulletin insert art.